Every year, Apple shows off its newest iPhone model to the tech world, who in turn, takes the next few weeks to scrutinize the phone’s new hardware and software abilities. Every new model is sought after by millions of users, which goes to show just how powerful Apple’s position is in this market, even with the ever increasing rivalry with Google’s Android phone. Despite the issues with the iPhone 4’s antenna, buyers didn’t stop purchasing the phone, and Apple reported that sales were great, with them selling everything they produced. The antenna problems were solved and now Apple is already talking about the next iPhone model. Just what kind of features will it have? One big rumor is that the 2011 iPhone models won’t have a SIM (Subscriber Identity Module) card. Apple says they have solved the problems the iPhone 4 had with its antenna by providing users with a free bumper case. Because of this issue, it’s likely the next iPhone will have a different design to prevent this from happening. Some people were previously upset when Apple didn’t make a white iPhone 4. It was speculated that this was due to the possibility that a white tinted surface could let in light that would cause problems with the camera in the phone. However, this should hopefully be resolved so a white model can be released. By the time the next iPhone comes out, Apple expects to have solved the issues with FaceTime, the iPhone 4’s videoconferencing application which lets you connect with your friends using a WiFi connection. 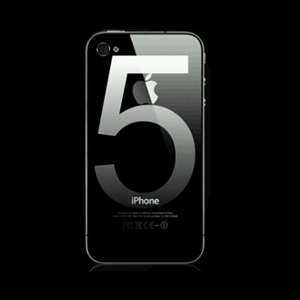 Apple is currently talking with its providers to give customers a 3G version with the next iPhone model. Some rumors say Apple plans to make the next iPhone have a higher megapixel quality. It’s also possible an upgrade could come out for the iPhone’s A4 processor. And, another expected change is for Apple to reinforce the device’s dual glass pane design. And lastly, Apple could release yet another OS version, even though the iOS 4.2 just came out in November.